We are in the RV section of Dockweiler just north of Tower 57. It's a 5 minute walk south of the regular parking lot. 4th pit from the north on the easternmost side. If you want to text on your way to see what is still needed, if anything, you can reach Gina at 214-801-9685. Summer Solstice is here--the peak celebration of summer when the days are longer than the nights. Since the beginning of time, our ancestors have marked this time of experiencing more “light” with ritual and celebration. It is a time of celebrating the fullness of life and of taking the time to raise our energy for the good of ourselves, our planet, and those around us. While we often light fires to honor our dependence on the physical sun, we can also honor the fire within us as a reason to celebrate and be grateful. We look forward to celebrating with you in community. The Summer Solstice was June 20th, but we’ll be gathering at Dockweiler Beach on Saturday, June 25th to celebrate this one life we know we have together with music, food, games, community, expressions of gratitude, and a bonfire. Please let us know how many people you are bringing so we can plan to have enough supplies for everyone. We are also asking everyone to contribute in way of food, drinks, supplies, money, or time in volunteering for the event. Please check this list of what we need and let us know what you can contribute to make this a great event. Click here to take a look at the google doc and sign up for the potluck and supplies. If you would prefer to send a financial donation to assist with purchase of firewood and other needed supplies, you can do that here (suggested donation amount $20). Dockweiler Beach is at 12000 Vista del Mar, Playa del Rey, CA 90293. We do expect it to be busy at the beach on a summer weekend, so Lyfting in and out of the area after parking elsewhere is also an option. 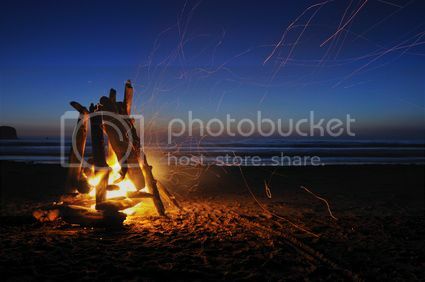 We will be set up at one of the fire rings on the beach. Look for Sunday Assembly shirts and yellow balloons. We’ll also update this list and the facebook event once we claim a spot, so keep an eye there and in your inbox. In addition to the bonfire, there will be food, beverages, games, music, and an opportunity, if you wish, to speak a few words of gratitude as we move fully into summer and celebrate this renewal of energy in our lives. We are officially kicking the event off at 4 pm and the beach closes at 10 pm. Sunset will be at 8:08 pm that evening. We do need a few people to come early (as early as 8 am) to secure a spot. We have a couple of people set to do that, but if anyone else can volunteer to come early to hold our spot and keep company, that would be fantastic. Beach games! Anything that we can play outside is great. Musical instruments and your voice – we hope to have a few songs. If you play an instrument, please bring it. If you want to bring musical accessories like tambourines, maracas, etc., those are also very welcome. Fireworks of all kinds are illegal in LA.